It is the holiday season and it is not complete without Limousine Service NYC! Interestingly, the highlight of the holiday is just around the corner. It’s the New Year Eve! Are you ready for some fun this New Year Eve? Are you ready to paint the town red as you party into the New Year? There are amazing things to do in New York and with our New Year Eve Party Limo Service, the party and the fun can only get better. So if you are ready for a memorable New Year eve party, we have highlighted some great destinations you should consider for your fun activities. Now, many people are already planning to visit Time Square to watch as the ball drop at midnight but really, you don’t have to do that this year. So why not change the tide this year and do something different and memorable? 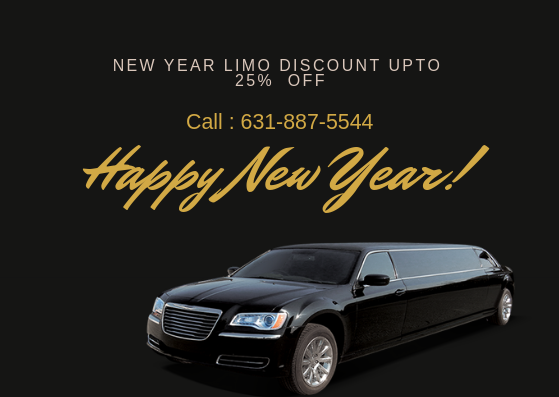 Whatever plan you have for the New Year eve, we are ready to partner with you and provide you with the best Limo Service NY that will take you to the party venue. Do you want to enjoy a delicious meal as you countdown to the New Year? Or do you want to dance to your heart content as you watch the time tick to midnight? Irrespective of what you want, be rest assured that we will take you there in grand style. So are you ready to explore the amazing destination where you can enjoy a mind-blowing experience on the New Year eve? Then read on to learn more! If you love to dance, this is one of the best places to be on New Year Eve. It is about to go down in a matter of days with exciting music and bands ready to bring the roof down. You can ride in an exceptional NY Limo Service for Capital’s 14th Annual Year Eve event and arrive in grand style. We will be delighted to chauffeur you to the luxurious New Year Eve downtown New York City as you explore the amazing and exciting atmosphere. Enjoy beautiful music as the DJ plays the latest Hip Hop, Top 40, and dance to your heart content. You can pair it up with a six-hour Premium open bar from 9pm to 3am on the New Year Eve. You definitely will love every moment of the experience. Our exquisite Long Island Limo Service will be at your service all through the time. Arrive at the Penthouse Bar and Lounge at the 230 5th Avenue in grand style with our unique Limo Service for Penthouse Bar and Lounge. This exciting destination affords you the opportunity to experience the breathtaking view of the NYC. So drink your way into the New Year as you watch the time tick to 12 midnight. Of course, you will meet some amazing people at the destination who will share the New Year drink with you. It is surely going to be an experience worth remembering for long. You don’t have to worry about getting stuck in traffic due to the high crowd moving around during the New Year. Our professional chauffeur knows the way round the city and they will get you to the destination in time and in luxury. All you have to do is sit down and enjoy the ride. If you want a romantic getaway with the love of your life this New Year Eve, the Hudson River cruise is an excellent idea. You can be rest assured that there is really nothing comparable to it. Our professional and courteous chauffeur will pick you up at your location and take you to the port of Hudson River where you can join the cruise team. You can be sure of an experience of a lifetime this New Year Eve and with our classy Limousine Service New York, it can only get exceptionally better. This is an amazing idea for the fun-loving and fireworks freak. You can choose to dine at the Central Park at the Tavern on Green. And after your sumptuous dinner, you can enjoy the ambiance and entertainment as you wait for the midnight shout. Our Limo Service New York is readily available for your ride on this special day. Our chauffeur will take you to the destination in comfort and style and will be with you until you are ready to return to your hotel or home. And at 12 midnight, you can watch the dazzling fireworks show and take pictures away. It is absolutely worth looking forward to. You don’t have to stress about your transportation arrangement; you can leave it to us and we will provide you with a seamless affordable limo service NY like none other. Now, if you don’t feel like spending much this New Year eve, you can take a free Staten Island ferry ride with your friends. Get a bottle of champagne and enjoy the startling view of New York skyline at midnight as you countdown to the New Year. When it comes to arriving at the Staten Island Ferry destination, you can trust our cheap Long Island Limo Service to get you there in luxury. You don’t have to break a bank to ride in our limo. We offer cost-effective transportation service that will get you to your destination in style and class. You can rely on us to always provide the best for you. If your choice is to party into the New Year, the Oak New Year Eve VIP party is beckoning. Our Limousine Service NY will be available to take you to and from this destination. If you really want to be part of this party, you can’t afford to arrive without making a statement because many celebrities will be part of the event. So dress up and rub shoulders with the stars in the entertainment industry as you arrive at the party in a state of the art Long Island Limo rental. There are amazing things you can do on New Year eve to crown the year with excitement and fun. In addition to all that have been highlighted above, you can also take a helicopter tour of New York City and New Jersey and party hard into the New Year. In addition to this, you can enjoy the mind-blowing fireworks display at the Brooklyn Grand Army Plaza. The Standard Hotel Rooftop Bar and Lounge is also waiting to offer you a memorable New Year eve party. You can also explore the Brooklyn waterfront as you usher in the New Year while fireworks display and live music are going on. The Madison Square Garden New Year Eve concert will also be bringing Rock and Indie Band to make the wait for the New Year exciting and fun. Whatever event you decide to go with for the New Year eve, be assured that we will be available at your beck and call for your Limo Service NY that is comparable to none other. We will be delighted to take your booking right now. Call us today to arrange your New Year Limo Service NY!